Patient Experience Week 2019 – Get Ready! Patient Experience Week is a global event to celebrate the people who impact on the patient experience every day. It is held in the last week of April each year. This is our fourth year of running Patient Experience Week, and we are mixing things up a little. Instead of holding all the events in April, we will be holding events in April and November. 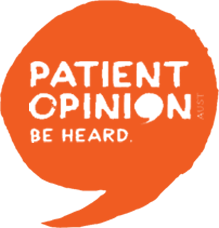 We want to ensure that Patient Experience is not just a day, but a movement! More information to come as we approach April!